The SEO benefits of publishing and content marketing are huge. Google’s head of webspam, Matt Cutts, has long preached that unique, compelling, user-focused content is the hallmark of a quality, well-ranking site. As brands become publishers, they also stand to earn top-of-mind recall and establish brand recognition. Yesterday, Bruce Clay, Inc. hosted #SEOchat on Twitter. On the agenda? Brands as Publishers. When SEOs take on a content publisher orientation, it helps think in terms of how to tell stories and how to manage assets as publisher organizations do. The best brands tell stories that resonate with their consumers — think of Dove’s “Campaign for Real Beauty” or Dos Equis’ “The Most Interesting Man in the World.” These brands aren’t just advertising — they’re telling stories. This kind of strategic content marketing means brands and businesses have to be capable in the role of a publisher, i.e. creating and curating content, images and video that targets and engages specific audiences. Feel free to jump to you the topic that you’re most interested in by clicking the heading above … or read them all! 1. Do you consider your business a publisher? Do you believe the paradigm of brand=publisher applies to you? @PaulaAllen: Today’s marketing requires content … have to distribute quality, but have to make yourself heard. @KevinWaugh: Not yet, but I am pushing my work to embrace that, it takes some political wrangling. @TannerPetroff: It’s more important than ever to be a publisher, and great at content marketing. We’re not perfect, but working on it. @LisaBuyer: If you have a website or blog = you have a publication so… YES! brand=publisher. @chrisjeverett: Being a publisher is essential for getting your message (your value, credibility, etc.) across to your prospective buyers. @MichelleDLowry: I think it depends on the vertical. Forcing a publication to jump on the bandwagon may not work well for all brands. @ClairWyant: In this day in age, if you have a robust marketing program, should be 50/50 your business and publishing. @LandMoore22: I can’t separate the two. Publishers have to money. Businesses have to make money. 2. As you transition into a publisher, what have you learned from traditional publications or other businesses? @maryi: I’ve learned a lot from journalists – importance of a good headline and what to cover in content. Do good research. @KristiKellogg: Upworthy has really taken the reins on renovating the traditional headline — and that model is working. @KevinWaugh: From having hired journalists in the past, enforcing content style with multiple contributors was the main thing they taught me. @JoshMcCormack: Publishing is your way of letting people find your businesses value. @ClairWyant: Regarding headline, different headline works for different audiences and industries. @sonray: Google Drive for internal and external teams to stay on point is really helpful. Personally love @trello as well! @bloomreachinc: We learned from a journalist by hiring one! @mikecassidy joined as our storyteller and has made a huge impact. The style of writing that a journalist brings is so much more consumable. Clear takeaways in a very narrative form. @LisaBuyer: Ethics, copyright laws, attribution, fact checking, editorial calendars, quality writing, deadlines. 3. Mission statements can help drive content with a purpose. Does your brand have a mission for its publishing? @bloomreachinc: Not a mission so much as themes we focus on for a quarter. That content mixed in with ad hoc, timely pieces. @LisaBuyer: They help the brands to keep on track. Similarly, people may have an idea about the businesses by their missions. @ScottACroom: The hard part is following them and making sure they are BS-free. @JennineMiller: We follow best practices, but I’m not sure if we have anything in writing. It’s one of those work smart not hard scenarios. @ScottACroom: Putting on paper can help make the ideas more concrete and more likely to be followed. Not too crazy formal, though. @JennineMiller: Yeah it’s something I should probably do soon! Our content calendar is on paper so that’s good for something. @ScottACroom: Calendar is critical for everything, especially social media. Too easy to get overwhelmed otherwise. EFFICIENCY. @8Keith: So your editorial calendar is a living, breathing thing? @JennineMiller: And cries and needs consoling! … Consider your editorial calendar as tentative and always stay on top of ideas that will be relevant at the time. 4. Does functioning like a media organization require more coordination between departments? How do you facilitate communication? @BloomReachInc: Yes and the only way to do that consistently is to have some dedicated to it who can ask the right questions. @scottacroom: Cross department communication is critical in any business, not just media. Use HootSuite for monitor/listen for the most part. Lifesaver. Can’t rave enough about Basecamp from @37signals. @michelledlowery: First, have clearly defined roles for each dept. Then encourage open communication. Important for leaders to set example. @Feviyu: We use @mavenlink for collaboration both internal for our team and externally with clients #Loveit. 5. What content types do you publish most (ex: web pages, blog, curation posts, videos, social posts, infographics)? Why? @chrisjeverett: A mixture of everything. Diversification is key in publishing/content marketing for max customer reach. @scottacroom: Totally industry and client dependent. @sonray: Desired outcome is key. What is the best outcome? Then work backwards from there with a strategy/content type. @clairwyant: Infographics help tell the story … but a summary is needed, mainly for SEO purposes … Big fan of blogging… plain simple text with a few images to help tell the story. Socially… love images & infographics. If you have the resources for video, use it. It’s more cost effective not to, but if you can, all the better..
@JennineMiller: Working in a small agency now but if it was larger I’d say yes! Communication is a must. Tools like Asana help everyone. @uprighttire: Social, blogging & webpage – in that order. 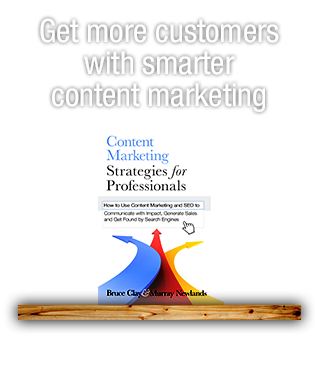 @BruceClayInc: We’ve invested the most focus in our blog and newsletter for years. Now increasing publishing activity in Google+ & others, too. @kmullett: yup, people became way too enamored w/the idea of “blogs” when “frequently updated quality content” was the goal. @paulaspeak: True! Website revision takes a backseat to the latest blog post ideas, and blog has big payoff for SEO, too. @kmullett: ANY quality content that solves problems or answers questions will help SEO, not just those in the blog. @michelledlowery: social, blog, web page, in that order. Video’s a bit out of budget right now. Infographics are overused, IMO. @rvaghanani: Infographics. Since they are more eye catching then printed words. @JennineMiller: Technically social posts because we’re trying to keep engagement up and it helps with content promotion for blog posts, etc. 6. For titles, do you find publisher goals (optimize for virality/social sharing) & SEO (rank for relevant keywords) are at odds? @scottacroom: At odds? Not if you are doing them right. @jenninemiller: They can be at odds but the trick (no easy task) is to nail the keywords & create an awesome/sharable title. If applicable use a # or @ in the title. When someone shares it w/o edits it can lead to more real conversation/interaction. @8Keith: It’s a dance … there is no perfect title. That’s the FUN. @clairwyant: I tend to look at the SEO factor. One of the few areas I actually research. You can still make appealing headlines. 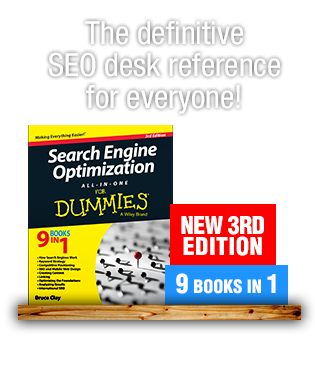 The keyword research I do is very basic & not very in-depth. Noticed a difference between doing it & not. @bloomreachinc: Write for human consumption. @emcgillivray: As search engines get smarter, it’s better to optimize for humans than keywords. @feviyu: I agree with @emcgillivray. When I’m faced with a decision will choose humans over bots. @sonray: Yes, yes, yes, all day long. You can take visitors to the bank, rankings not so much. @paulaspeak: It’s not either/or … rankings bring visitors, don’t they? Or is your site a destination in itself? 7. Who writes for your brand? Who edits? Is content primarily generated in-house? @JennineMiller: Currently it’s all in-house, but if we were to expand for clients’ sake, I’m sure contracting wouldn’t be out of the question. @bloomreachinc: Mostly in-house and we have a storyteller (@mikecassidy) doing most of the writing. Content marketing team edits & propagates. While our storyteller does the writing, his journalism background means he uses experts at the company & elsewhere as sources. @mumar_khan: Everyone has the right to write but the editing should done by specialists and yes it has to be produced in-house. @Lisabuyer: Traditional PR peeps write 4 press release a month, journalists write 4 stories a day! Who is better? @Feviyu: All content is in-house because we are a small biz we take ownership of all grammatical mistakes too. @8Keith: (sigh) one man band … for now! @BruceClayInc: We have a team of four full-time in-house writers. @8Keith: Is envy really a sin? 8. Do you encourage your writers to build their own brand and authority? How? @michelledlowery: Absolutely. Through authorship, guest posting, and social network visibility. Also keeping brand comms separate. 9. How far ahead do you plan and schedule content? What guidelines do you follow when developing your content calendar? @ConstantContent: We plan a rough outline approx. 2-3 weeks in advance, but constantly add in breaking news as it happens. @Feviyu: No content calendar, I write when it moves me. But I have one objective at all times. 10. When do you publish images? Do you ever take the photos yourself? Do you use captions or text overlay? @lisabuyer: I love when a brand owns a curated authentic image library! @bloomreachinc: We always use photos – either originals that we take or Creative Commons from @flickr. @ConstantContent: We rarely include photos. Usually choose text-based graphics over stock photos. @Kmullett: I almost exclusively take pictures myself, but I have several resources for finding free/cheap stock when needed. @JennineMiller: It varies. If we have a good existing image then we use our own or buy something. Text overlay beats captions IMO. We always, always, always upload files with good names and use alternate text. 11. At what point in the development cycle do you compare competitor content to your own? How do you evaluate competitor content? @paulaspeak: Inevitably, ideas float around, so someone else publishes similar as yours is being created. At that point, need tunnel vision! @lisabuyer: Competitors can make you look good. @kmullett: Before, during, and ongoing. @feviyu: For clients 10 minutes before it gets published. For personal, never. Life is too short. 12. In your industry, have you found there are sweet spots for word count? Tense? Style? Format? @JennineMiller: Never do something you would criticize competitors for doing. Keep it professional but in your own voice. @8keith: 300-500 but with LOTS of white space – headings and paragraphs. My view on content is like a movie – if you need 4 hours, then its two movies – 1000 words = two posts. @constantcontent: It’s a great idea to watch competitors, but we like to focus on evaluating the quality of our own content. @ClairWyant: Found approximately 500 words is a sweet spot. Google like the length and not too long/not too short for readers. 13. How do you gauge your content investment – is it worth it? How do you measure your ROI on #content? @8keith: It’s not a science for me yet – but more content = more conversations = more business. @constantcontent: A great way to determine ROI of content is to measure traffic, conversions from the page, bounce rate & time spent on site. 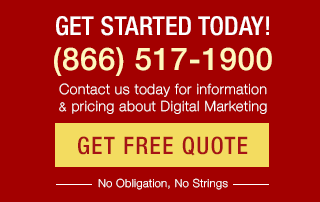 @ClairWyant: Pageviews & amount shared on social first 24-48 hours. Page views via search thereafter. @JennineMiller: Views, shares, quality interactions and conversions depending on your goals. @LisaBuyer: I think the words “great” and “excited” should not be allowed #seochat #Boring #meaningless. @ClairWyant: I try my best to stick to AP style. Doesn’t always happen. @JennineMiller: Never do something you would criticize competitors for doing. Keep it professional, but in your own voice. Thank you to everyone who participated in this week’s #SEOchat! 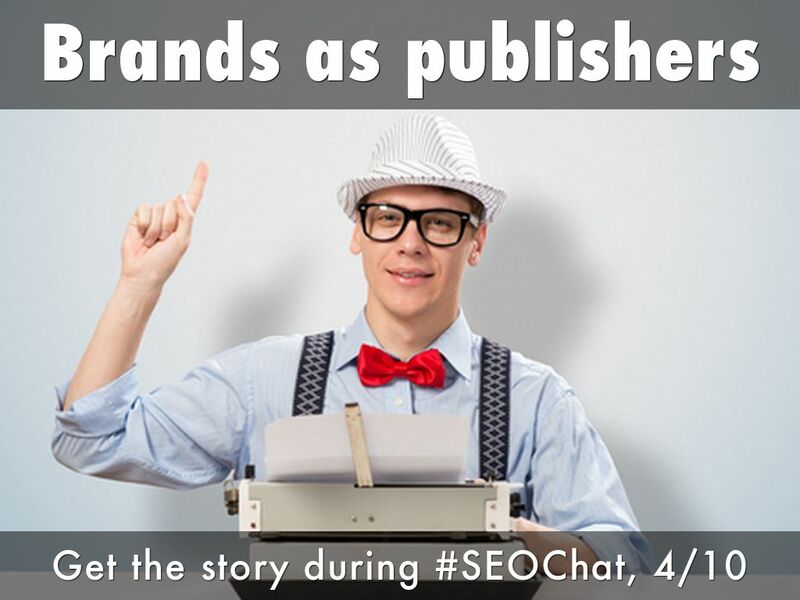 #SEOchat is held every Thursday at 10 a.m. PT/1 p.m. ET on Twitter. Learn more about participating here. Hi Anirban , Content marketing has its own importance, which can’t be ignored. At the same time, the publisher, creating and publishing the content, must be able to create an identity, must brand! This is really interesting for me. Brand publishing is crucial because content is crucial to ranking. There’s tons of ranking factors of course and we all know that. Content planning has never been important for me, Obviously, for media clients, news clientele, it would be important. Your hear some things about competition, much more today then in the past. Competition should ALWAYS be eyed. A lot of people fail in that aspect. All of these are key points, it’s great to get some feedback from a quality source. We thank you for sharing Kristi. First time visit from us to your blog. Bruce is a big name in our field with a great reputation. Kudos. Agree, Zafar. Organized, focused, user- and spider-friendly writing is a huge factor that helps make your web pages “high quality” — and “high quality” is a critical ranking factor in both the Google and Bing algorithms. Having an in-house writer is ideal, but if you can’t get someone on full time working with a reliable contractor is a great solution. If you’ve never been a good writer find someone – either on-staff, or on the outside – who is! more than one good writer is even better.. This will be the biggest part of “SEO” going forward. Excellent article Kristi! Content marketing has its own importance, which can’t be ignored. At the same time, the publisher, creating and publishing the content, must be able to create an identity, must brand! Nice to have different eminent people’s opinions and suggestions gathered at a single place! There us much to learn from here for folks like me! I found link to this post on Kingged. I’m Kingging this article there, so that more people get to read it! Interesting opinions from different marketers. The role of brand in publishing cannot be completely ignored. I would rather say that branding is a function of quality and reputation.